On Wednesday (August 15th 2012) the DeepStacks Poker Tour and the Players Poker Championship released a press release that stated the two companies formed a partnership. In 2013 the two companies will co-host the DeepStacks Poker Tour PPC Aruba event, which will run from May 2nd 2013 – May 9th 2013. Aruba is a popular poker destination and the event should be popular. The highlight of the series is the main event, which will be held from May 6th – May 9th 2013. The buy-in for the main event is only $2500 and the prize pool will have a guarantee of $200,000. With several DeepStacks Pros already confirmed to be playing in the main event we think the $200K Guarantee should be smashed. A few of the pros that will play in the main event include Mike Matusow, Michael Mizrachi, Randal Flowers and Tristan Wade. I also think other pros will head to Aruba for the event, but with it being in 2013 not many people can commit yet. The series will be hosted at the Westin Resort & Casino in Aruba and there will be a total of seven tournaments during the 8-day event. 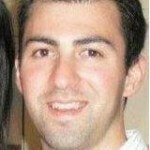 The partnership should also see the two companies’ co-host more international poker events. DeepStacks Poker Tour has been running successfully in the United States, but they haven’t hosted any international tour stops yet. Chris Torina who is the CEO of the DeepStacks Poker Tour expressed that joining forces with the PPC allows DeepStacks to enter the international market. On top of the $200K+ prize pool in the main event the winner of the tournament will also win a seat in the 2013 DPST National Championship Event, which will be hosted at the Mohegan Sun. 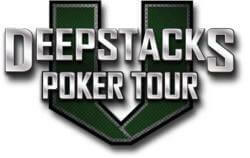 The DeepStacks Poker Tour has several events still scheduled for 2012 in the United States that I’ve listed below. If you’re nearby a stop on the tour make sure you come out to play this year. The DeepStacks Poker Tour has been running great poker events this year and with the expansion into the international markets the tour should continue to grow. The DPST NC ME listed below from Nov 30th – Dec 3rd will have a huge $500K GTD and an affordable buy-in of only $2500.